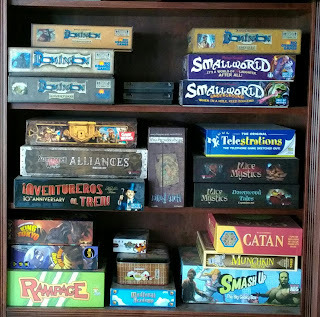 interested in me adding some info about my favorite board games on here. 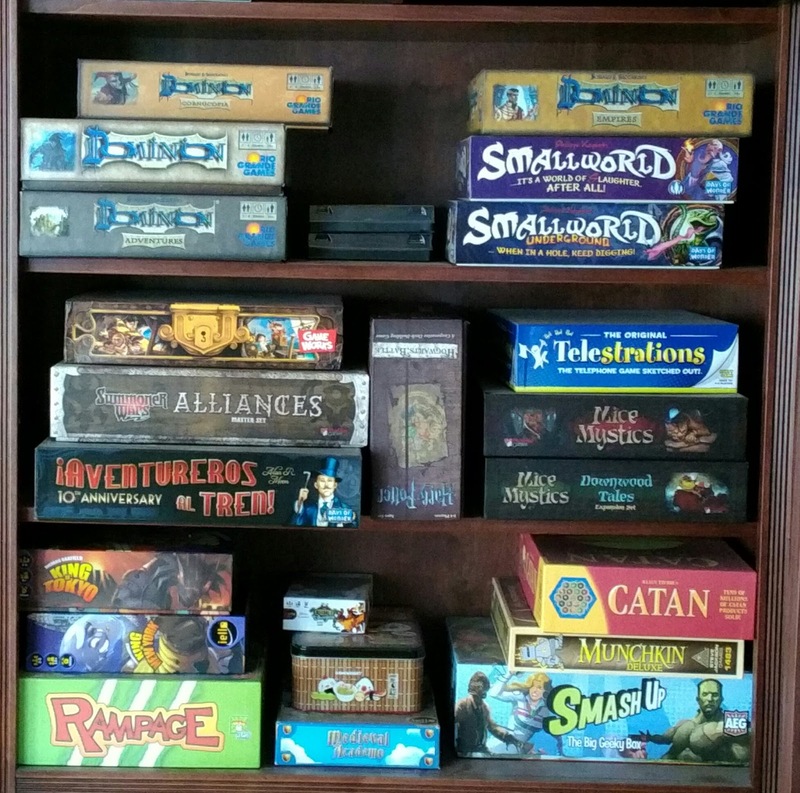 The response was overwhelmingly positive, so I have decided to add a new section just for board games. There is now a link on the menu bar called "Board Game Reviews" that will bring you directly to all the posts I make about board games. There is also a new label called "Board Games." So far there is nothing there except this post, but I am hoping to make my first board game post sometime this week. I hope you all enjoy reading this new section! The second project is a Pirate101 project, which is also the result of a Twitter poll. 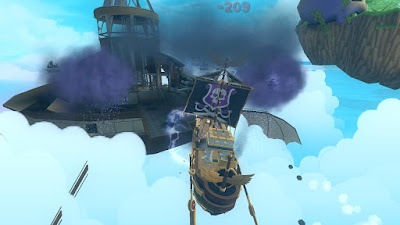 You all may remember the Pirate101 Challenges series I wrote this past year. Well now that it is finally finished, I have decided to create a new pirate and try out one of the challenges for myself. Twitter people voted and decided that I should try out challenge #5, which is basically permadeath companions. You can read all the details of this challenge here. How long will my new pirate's companions survive? I will be making this character during the week following Christmas and start to level on her. I have decided she will be a witchdoctor, but I haven't chosen a name yet. If you have any name suggestions let me know by commenting here, on my Twitter account, or on my Facebook account! If I get more than one suggestion, I will make a poll of my favorites and let you all vote. A third project is also with a pirate, but she is one that already exists. I have a level 14 swashbuckler (Autumn Walker) that I haven't leveled on in a long time. She was originally created to quest through with my daughter, who has since given up most gaming. I have decided to continue questing on her solo with a twist. This will be another "challenge" pirate, using Challenge #1: No ship or ship equipment upgrades. She is currently in Monquista, so from here on out I will be using only her raft. I will be making sporadic posts to update her progress, but those posts will mainly be about my nautical adventures. So that's all for now. Be sure to look for my first board game review post this week and let's hear those name suggestions! I can't wait to start questing in Pirate101 again! A couple weeks ago I had a series of Pirate101 Halloween contests. Most of the contests consisted of me tweeting out coded messages and awarding a code to the first person to decode them. 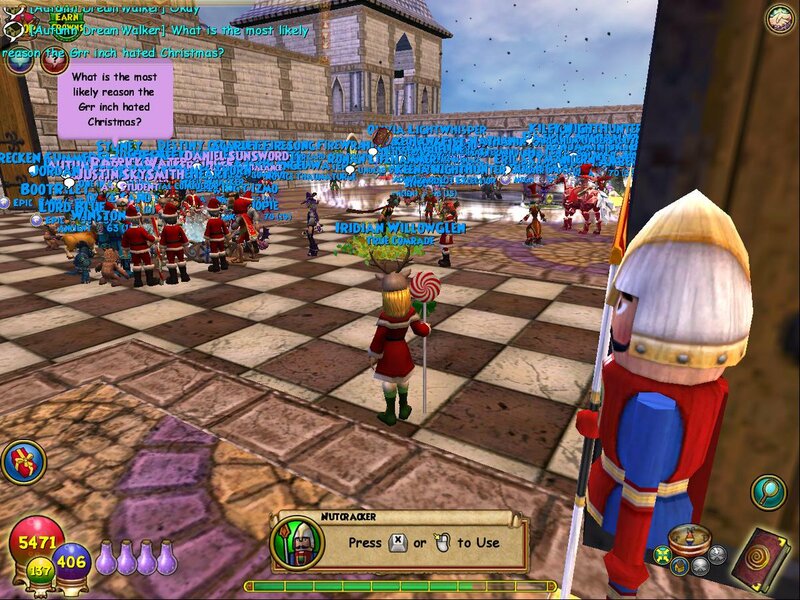 I also had a Hide and Seek in game one day, a word search contest, and a retweet contest. The final contest was a culmination of all these previous contests, a scavenger hunt that included all the previous codes, hide and seek, word search, as well as a retweet "step." I had estimated that the scavenger hunt would last about 30-45 minutes. However, it took a little over an hour to get three winners. Congrats to those three people, @Tallahasee79 (1st), @BrandonOwlSword (2nd), and @_ConfettiWap (3rd). People have asked me to post the answers to the scavenger hunt, so here goes. If you would like to see what the rules/requirements were, please use the link above to see them on the original post (under the schedule of contest days & times). Also, please note that the links (not including the Twitter links) I describe in the descriptions below will no longer work, since the scavenger hunt is now over. Ready? Here goes! 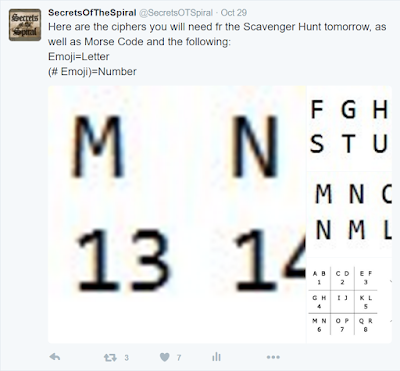 The evening before the scavenger hunt, I made the following tweet with most of the ciphers people would need to complete the puzzles in the scavenger hunt. 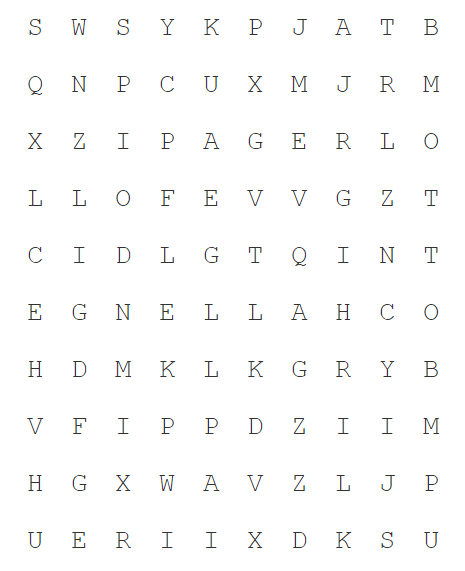 All of these ciphers had been used earlier in the week. Using Cipher #1, this says "Retweet this tweet and I will DM you the next clue. Good luck!" As I saw people retweeting the tweet, I sent them the following DM (Direct Message) on twitter: "Go to the Contact Page on my site." I am pretty sure most people figured out this code. I had A LOT of DMs to send and to be fair, I sent them in the order people retweeted the tweet. This message can be decoded using the following: Emoji=Letter, (#Emoji)=Number. This is where a lot of people seemed to get stuck, so after 10-15 minutes, I started giving out hints. I don't remember the order I gave the hints in, but eventually I told people that the first four characters spell "HOME." The emojis are: Horse, Orange, Monkey, Envelope, Pig, Apple, Guitar, Envelope, (#3 music notes), Rainbow, Dog, Snake, Lemon, Ice cream, Dog, Envelope. The key is to take the first letter of each emoji to spell a word and for the "number" count how many things the emoji represents. So this message said "Home page 3rd slide." This meant to go to the home page of my blog and click on the third slide in the slideshow. That would bring you to a page that no longer exists with the clue for the last step of Part #1. SVAQ ZR VA TNZR NAQ FNL NUBL! 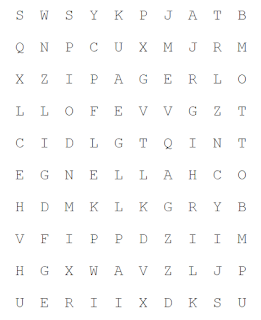 This clue can be decoded using Cipher #2. It says "Find me in game and say ahoy!" The image shows a clue to the realm and the location. I was hiding in Old Scratch realm in the witch doctor office aka Madame Vadima's Sanctum. When people found me there and said "Ahoy" I gave them the first clue to the next part of the scavenger hunt. 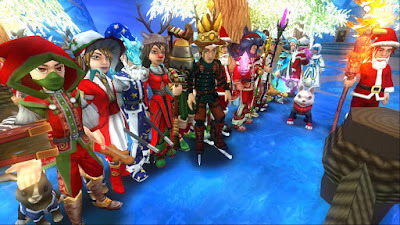 Step A - The clue I gave to the people who found me at Madame Vadima's was "Go to the Pirate101 Guides page on my site." 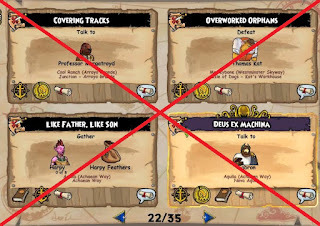 The words that needed to be found gave the clue to Step C: "Pirate Challenge Page Click Bottom Link." Step C - Clicking the last link of the Pirate Challenge page, it would bring you to another Hide and Seek clue. URMW NV ZMW HZB SVB YFXPL! This clue can be solved using Cipher #3 and says "Find me and say hey Bucko!" This Autumn was hiding in the Buccaneer office in Ratbeard realm. When people found me and said "Hey Bucko" I gave them the first clue to the third and final part of the scavenger hunt. 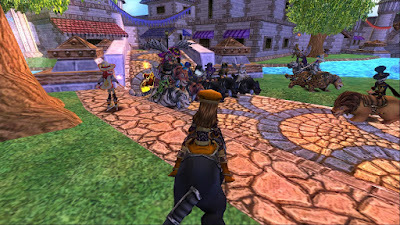 Step A - The Autumn Walker hiding in Ratbeard realm, she told them "Go to the My Pirates page on my site." 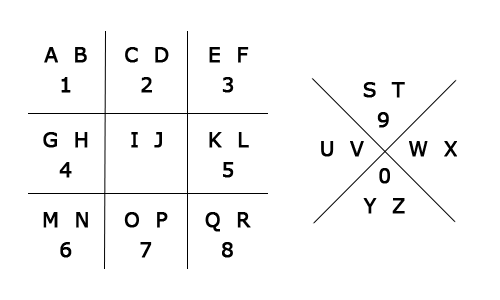 Step B - This brought them to the following code, which could be deciphered using Cipher #4. 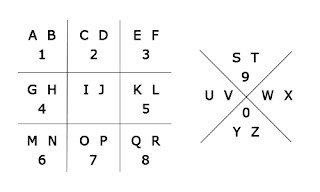 This code/cipher works like this: The shape shows you which letters to look at on the cipher. The dot means use the second letter in that shape/area. No dot means use the first letter. A "#" means use the number in that space. So the above code says: "Events Page Link 7" which means people needed to go to my Events page on my blog and click the seventh link. Step C - The seventh link on the events page went to the final Hide and Seek. This code is Morse Code, which I did not provide a cipher for, since it is such a well known code. There are numerous Morse Code translators out there that can be googled. This code could be copied and pasted into a translator and tell you what it says, which is "Find me and say did I win yet." 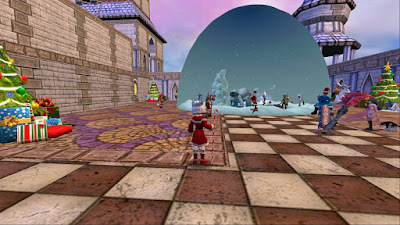 I was hiding in Avery's office in Avery realm. That was pretty much the whole Scavenger Hunt. When people found me and said the above phrase, I told them to take a picture with me and direct message it. Once they did that I sent them one of the following three images to reply to my original/first clue tweet with. These last two steps (with the screenshots and tweeting the images) allowed me to verify who had won and completed all the steps. I was also watching and keeping a list of each pirate who found each of my characters in the correct order. This allowed me to be more fair in case someone had somehow found the wrong Autumn at the wrong time or found a way to skip ahead (which did happen a few times.) I would turn those people away and tell them to keep looking for the correct Autumn. Anyway, I have had different types of scavenger hunts in the past, but none were this involved. I had a blast setting everything up and watching you all try to figure out the clues. I hope you all had fun with it too, even though it was one of my harder contests. Leave comments below and let me know if you think I should do something similar in the future, or if I should keep my contests more simple. Thanks for reading! See you soon! The holidays are coming up fast! 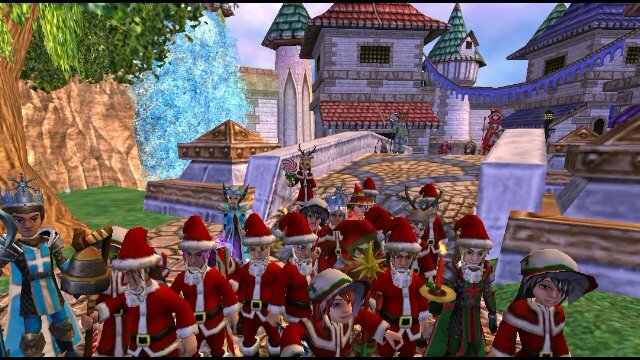 It has become a tradition for Edward Lifegem from Around The Spiral to host a Santa Run before Christmas. This year he has asked me, Frostcaller, and Michael Frost to help him host. 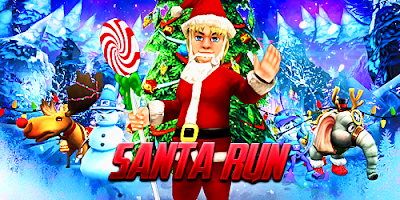 So what is a Santa Run? Well, it's similar to the Halloween Run we had in October, except it's Christmas/Holiday themed. That event was a huge success and this event is sure to be even better. Keep reading for more information. You can watch this video to see where we will be running. 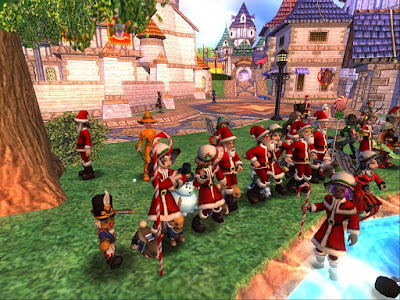 Santa outfit, Christmas colors, Snowman/Elf transformation, etc. After the run, we will be porting to an after party. There will be several houses (connected with teleporters) for housing games, PVP, gauntlets and more! Screenshot Contest - Take a screenshot during the event and send it to edwardfrostgem@gmail.com to win a Mirage Raider's Bundle! Join me for Christmas Movie Trivia during the event. 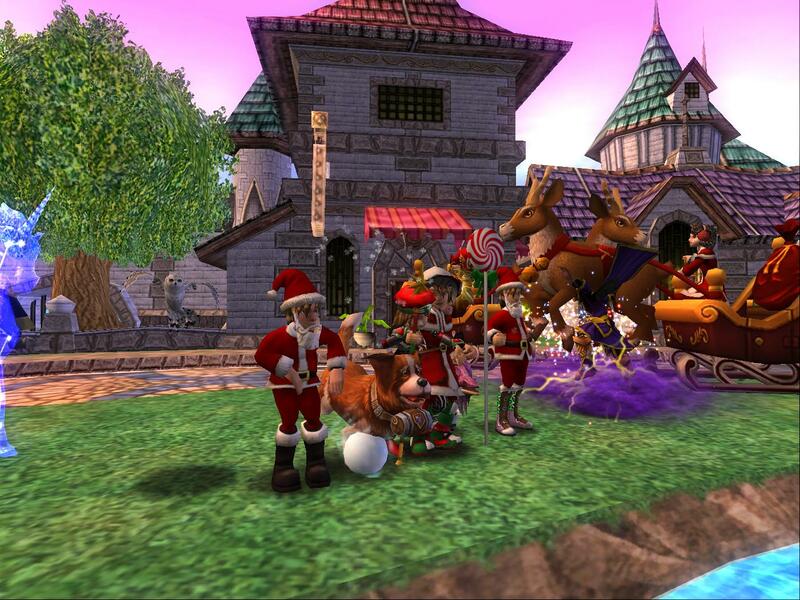 Christmas packs will be awarded to the winners! Well, I did it! This is the last post in my Pirate101 Challenge series. Thanks for joining me on this journey, especially since it took me much longer than anticipated. This last challenge is one that many people might already do naturally while playing Pirate101, but with a twist. The goal is to complete the main storyline of the game without completing any side quests. Let's take a look at the rules. 1. Do not pick up any side quests, including companion promotion quests. 2. No Prospector Zeke quests. This will give you less practice points to spend. 3. No class trainer quests, including quests from your own class trainer. 4. Complete as much of the main story through Valencia part 2 as you can by completing just the main quests. 1. Every time you have to fight ships, fight a few extra to help raise your nautical level. 2. Battle extra bosses and mobs to help get more gold and raise your level. 3. Focus on leveling and promoting companions that can be promoted with gold. As stated above, you can still promote companions that are promoted with gold instead of a promotion quest. 1. Make this harder by trying to complete the game without doing extra nautical and PvE battles. 2. 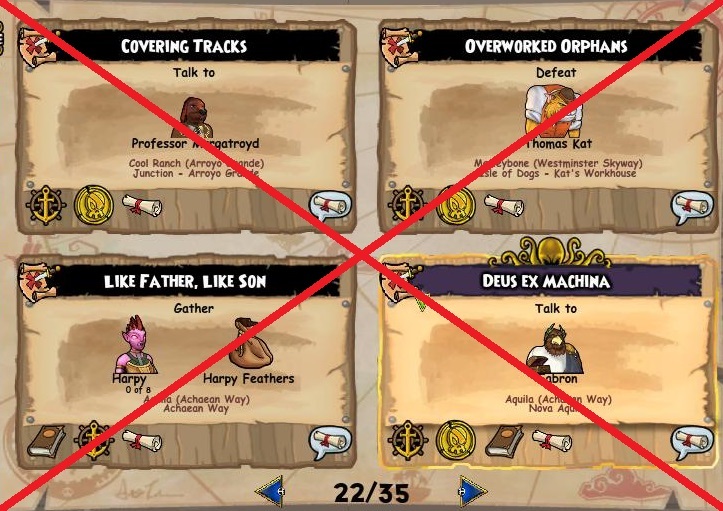 Make this easier by adding companion promotion quests back in. 3. Make this harder by not promoting any companions, even those that promote with gold. So that is the last challenge. I would love to hear from anyone who has tried any of these. Comment below and tell me your experiences! Also, I will be posting a poll next week for a new character I will be making to try out one of these challenges with, so watch for that. 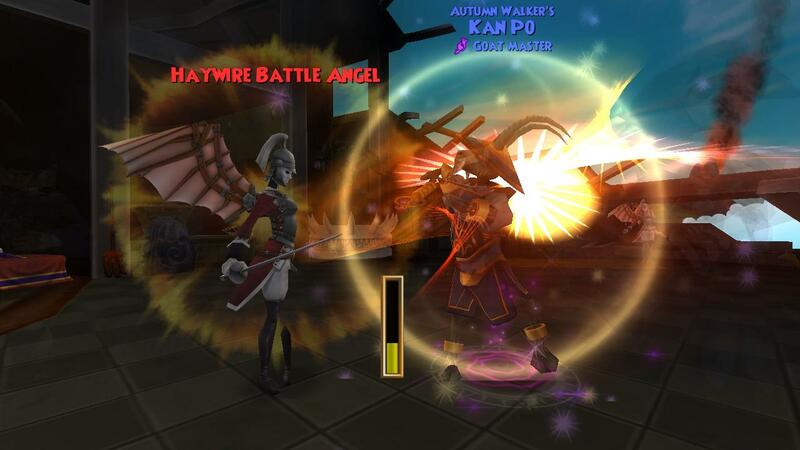 I am almost done with the 10 Ways to Make Pirate101 More Challenging series! After this post, there will only be one more, which I am planning on making later this week. 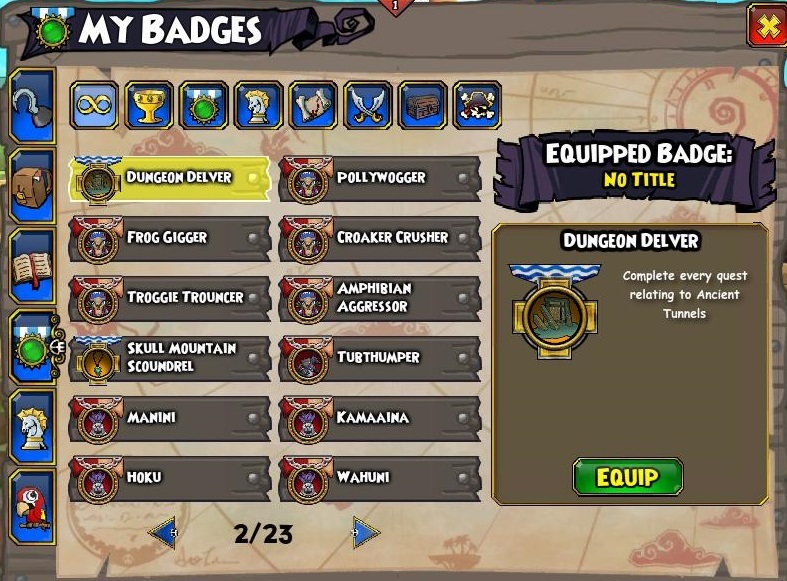 There are so many badges in Pirate101. Badges for completing quests, defeating bosses, discovering new areas, and more! Another cool this is that some of the badges give you rewards when you complete them. This challenge requires you to complete all the badges in the game. Read on for more information. The only rule for this challenge is to complete every single badge in the game. 1. Many badges will be unlocked once you defeat a specific boss or type of enemy or visit a world for the first time. 2. 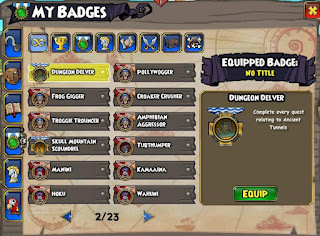 Here is a pretty comprehensive list of Pirate101 badges: Badge Guide. 1. Badges that are not included in this challenge are badges for PvP, Smugglers Arena, Moo and Manchu Tower. 1. Make this harder by completing the badges for each world before you move on, including badges for defeating bosses (such as Gortez) 25 times, as well as the "Defeat a certain type of MOB" type badges for that world. 2. Complete the badges listed under the "Exceptions" section in addition to all the other badges. So that's it. While this may be one of the easiest challenges, it will probably be one of the most time consuming, especially defeating the amount of MOBs and doing all the side quests to get the badges. I know all my characters still have several badges that need to be completed. Comment below and let me know if you have tried any of these challenges yet! Thanks for reading and see you soon! 1) Enter this retweet contest on my Twitter account and be entered to win a Hoodoo Bundle. 2) Enter the raffle at the bottom of this page to be entered to win 10k crowns and The Vampire (shades/accessory item shown below) - Starts tonight at midnight EST! You may enter more than one of my contests. However, each person will only be eligible to win once. This will give everyone a more equal chance to win. You will need a Twitter account to enter my Twitter contests. Please no begging/asking for codes. If you don't win you can always try again or check out the many other fansites giving away prizes as well. Times may change. If they do, I will mark them as "Updated." A Twitter account that is not private (so I can see your activity to me) as well as the ability for me to Direct Message (DM) you. 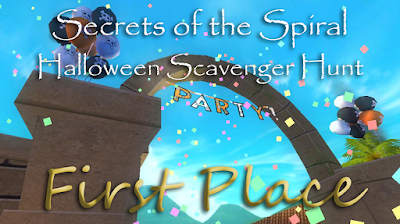 One last note: If you have won one of my other Halloween giveaways in the past 9 days, you are still welcome to try the scavenger hunt. However, you will not be eligible to win a prize. This is to give more people a chance to win. I think this contest will be a lot of fun and I hope you guys will think so too! 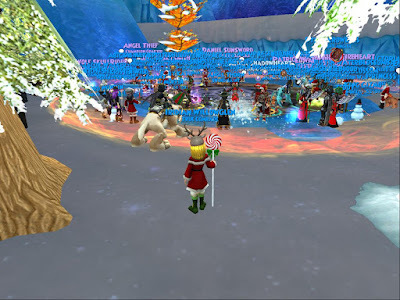 Happy 4th Birthday (and Halloween) Pirate101! Today marks Pirate101's 4th birthday!!! How exciting is that? 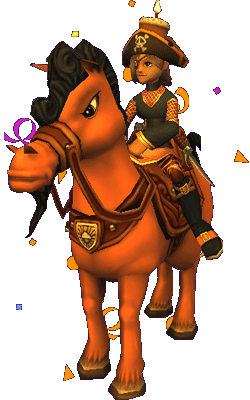 Pirate101 is celebrating with tons of decorations around Skull Island, as well as adding birthday items to the crowns shop. They are also giving away some awesome gifts to their players! You can click the this link to see more details and to redeem the code to receive your gifts. 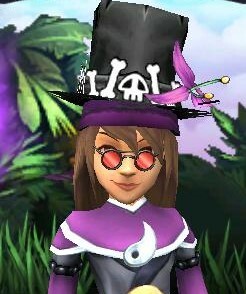 Since it's October, it is also Halloween month in Pirate101. 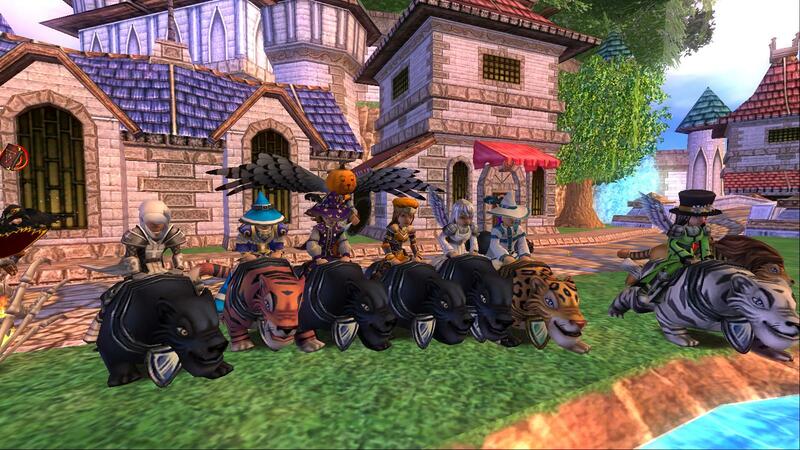 You can get tons of cool housing items, pets, mounts, face paint and more in the crowns shop. Some of these items have been brought back from previous years, but there are also some epic new items to be has as well! Be sure to click this link and then log into the game and check them all out! 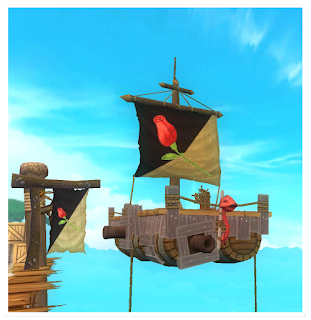 I am very excited to announce that the Pirate101 updates I announced in test realm a few days ago have now been released to the live realm! 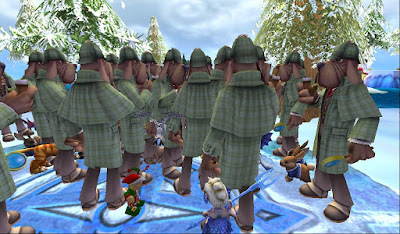 Shortly after its release, Kingsisle quickly responded to players by adjusting the spawn rate for the new turret, making it spawn more often. 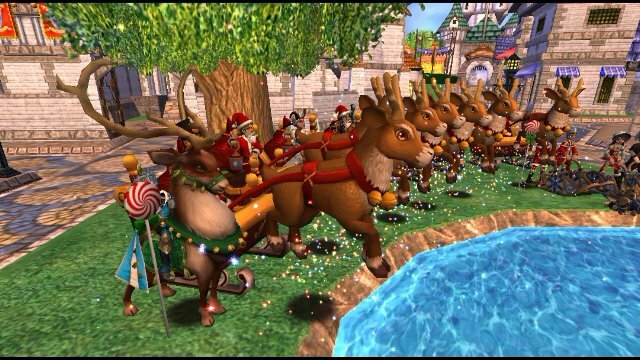 This is something I really love about Kingsisle.....Their willingness to respond to players, listen to suggestions and make appropriate changes. There was also a new pack, the Ashes of the Armada pack, added to the game. This pack features furniture from several worlds, new weapons (which are awesome) and new companions! It costs 399 crowns in the crowns shop. You can read all the information about these new updates by clicking the links above. Have you tried out any of the new stuff? Comment below and tell me your thoughts on this update! Fall is officially in full swing! I love October because to me it marks the start of the Holiday season (Halloween, Thanksgiving and Christmas.) While Halloween isn't my favorite holiday, it is second on the list. I have so much fun helping my kids make their Halloween costumes and doing their Halloween makeup. This year they have decided to dress up as Beetlejuice (my son) and a creepy voodoo doll (my daughter). Speaking of costumes, it's also fun to dress up in game! Around the Spiral with Edward Lifegem, Frostcaller, Michael Walker and I are teaming up to host the first ever Halloween Run at the end of the month! 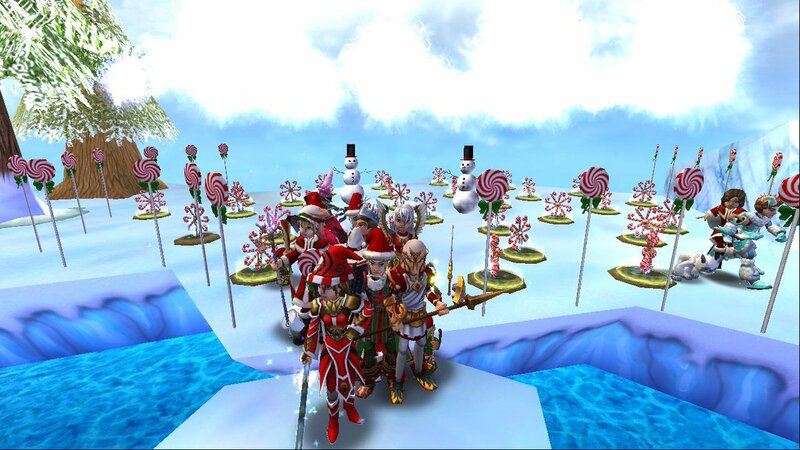 Put on a costume or Halloween colors and join us in Nightside for a run through Wizard City! Keep reading for more details. During the Halloween Run, we will be starting in Nightside and then run through the following areas in this order: Commons, Ravenwood, Golem Court, Shopping District, Olde Town, Triton Ave, and Haunted Cave, ending by Nightshade's Tower, where we will the port to the afterparty. You can see a video of the route at the following link: Halloween Run Route. Be sure to watch this video, since during the run (due to the large volume of people) we may all get separated into different areas. The after party will consist of two parts. First, the port buses will port everyone to a "haunted house" for a tour. After the tour, the port buses will port everyone to the party house for housing games, PvP, giveaways and more fun! During the after parties, there will be people randomly gifting. Enter one of several social media contests detailed on Around the Spiral's blog post. Check Around the Spiral's Twitter for giveaways during the event. Check Frostcaller's Twitter during the event for random giveaways. Check Michael's Twitter during the event for a giveaway. There will be a scavenger hunt during the after party at the haunted house after the run is over. 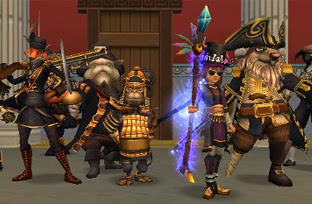 During the event or afterparty, tweet me with a screenshot of your wizard at the event with the hashtag #HalloweenRun2016 for a chance to win a Shinobi Bundle. This event will be amazing! Every time there is a "holiday run," the crowd gets larger and larger, so be sure to try to get there early! I hope to see you all there! 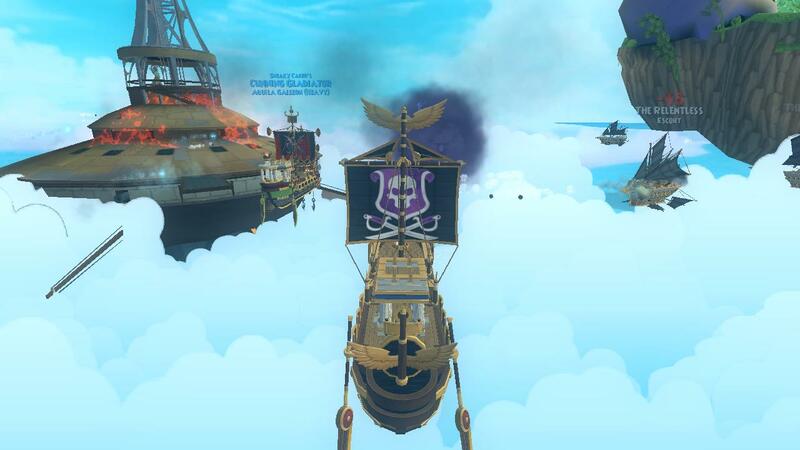 The Armada Has Come to Skull Island in Pirate101 Test Realm! I know it has been awhile since I've made a post, and I apologize for that. I have been so busy with homeschooling my son, driving both my kids to their various activities, and just life in general. However, now that I am settling into our new schedule, I plan on trying to post once or twice a week from now on. 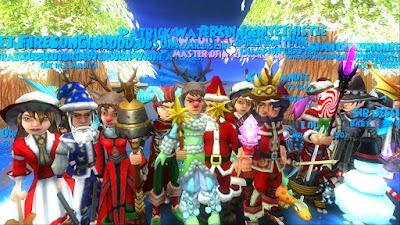 My first post back is an exciting one, because Pirate101 randomly opened the test realm today with no warning at all! There are a couple new things added and some bugs were fixed, all of which you can read about in the Update Notes. The thing I am most excited about is the new turret boss/Dreadnaught that can be found in Skull Island Skyway. This is awesome because it is a 2 part battle. First you need to do some nautical fighting in the skyway, trying to damage the level 70 turret. This is pretty difficult since there are numerous Armada ships (also level 70) around attacking at the same time. Once the turret's health bar drops to zero, it opens up and you can dock your ship. The next part is actually not a bad fight at all. You go into the Dreadnaught and fight some Armada guys. I went in with Alexandra Davenport and Thrifty Rodrigo Bellamy. We finished fairly quickly, although I did lose a couple of my companions. 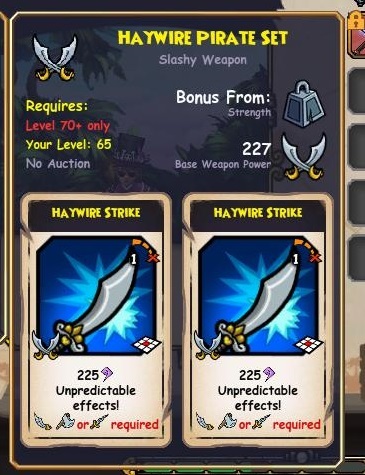 These enemies drop some cool weapons and lots of new Dragonspyre themed housing items. I am so excited to see that Kingsisle is still working on Pirate101 and adding new content. I think this update will be awesome for NXP parties. The 2 part battle will make for more interesting events. Another thing that is cool is that this is a high level battle in a free to play area! That means that more people can join in! 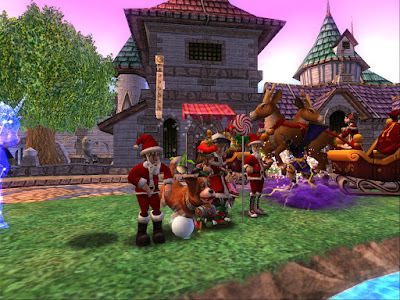 Anyway, be sure to read the update notes in the link above and check out the test realm if you have an active membership or have made a crowns purchase recently, then comment below and let me know what you think! Have fun and see you soon! I hope you are all having a great Arrrgust! 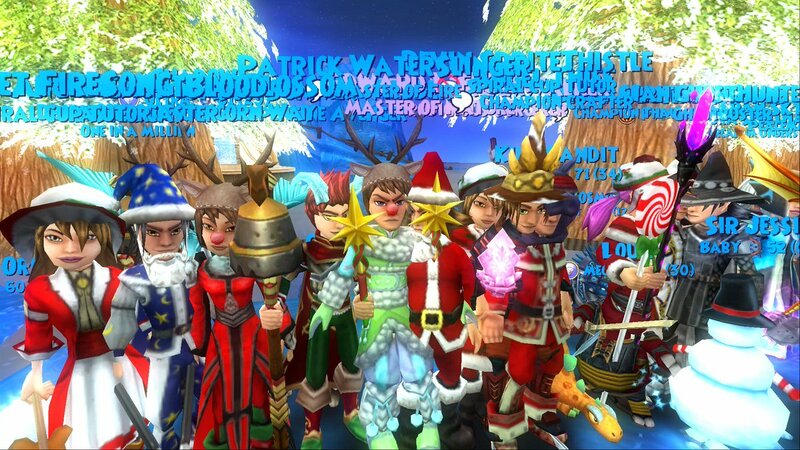 I had a blast with all the contests and giveaways I held, especially with the ones on my Twitter account! I tried to have a variety of different ways to win and I hope you all enjoyed them. 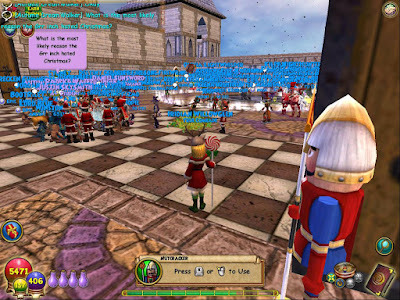 Be sure to thank Kingsisle and our community manager, One-Eyed Jack, for the awesome codes! I received a lot of great entries for this contest and decided to let my kids help choose the winners. If you didn't win this time, be sure to watch for future contests. Also check out the other fansite contests too. I believe some are still active. "Something smells fishy here and it's not the whale." "Could be just a fluke, but my guess is that there is not a china shop behind those doors." "You know my whale's name is Battering Ram for a reason, right?" The entries were judged on humor, creativity/originality and whether they follow the contest rules. There were really a lot of great entries and it was hard to choose just three. Congratulations to all the winners and thanks to everyone who entered! To celebrate, our awesome community manager, Tom, has given me some awesome codes to give away to you all! I have decided to split the codes and give you guys (and gals) 3 different ways to win. Keep reading and find out how to enter. Please note that each section below is a different contest. You do not need to enter all three to qualify for a prize. 1. Find your way through the pod of whales! **Note** The blog will be going down at approximately 1:45pm EST so I can activate the maze. It will be back up at 2:00pm EST when the maze starts. Be sure to refresh or reopen this page at that time. You can also watch @SecretsOTSpiral on Twitter for updates and the official announcement. Thanks! On Saturday, August 27, 2016 at 2:00pm EST the image above will turn into a link. Follow the links through the maze of whales. There will be three different codes hidden at the ends of three different paths. Be the first to redeem one of the codes to win a whale mount and a random amount of crowns! Remember that this contest is not yet active. Be sure to check back at the time above to enter the whale pod maze. Throughout this week, I will be giving away random codes on my twitter account, @SecretsOTSpiral. These may be given away through retweet contests, trivia, or me just randomly posting a code.......Whatever my mood is at the time. I will not be announcing specific times for these tweets ahead of time, so be sure to keep an eye out for them!